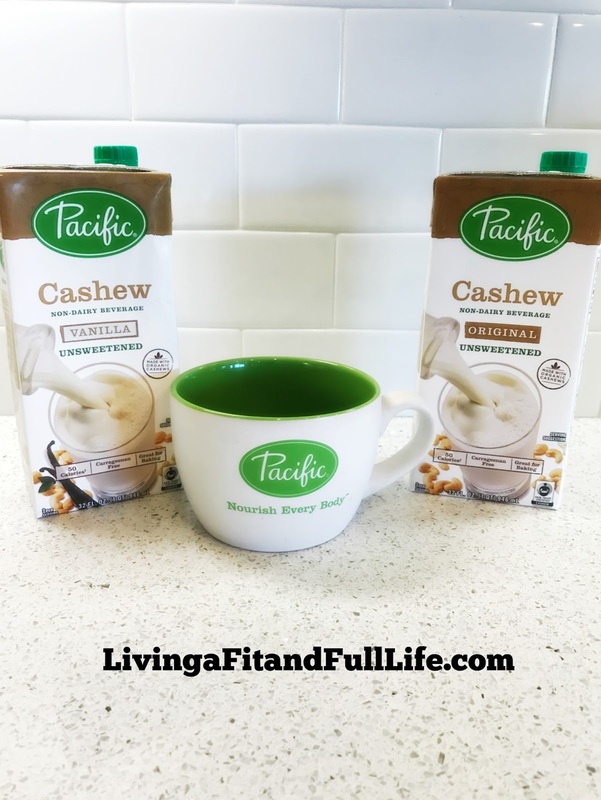 Living a Fit and Full Life: Pacific Foods Cashew Plant-Based Beverage is the Perfect Alternative to Dairy! 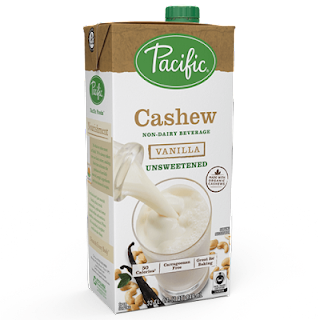 Pacific Foods Cashew Plant-Based Beverage is the Perfect Alternative to Dairy! Coming Soon! Our Unsweetened Cashew Vanilla plant-based beverage is made with organic and fair trade certified cashews that support safe working conditions and sustainable growing practices in the farming communities. Its mild yet creamy profile with a hint of vanilla is delicious on cereal and makes an excellent base for smoothies. Coming Soon! Our Unsweetened Cashew Original plant-based beverage is made with organic and fair trade certified cashews that support safe working conditions and sustainable growing practices in the farming communities. Its mild profile and smooth texture is an excellent base for sauces and other creamy recipes. 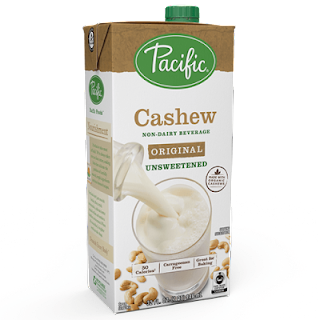 Pacific Foods Cashew Plant-Based Beverage is the perfect alternative to dairy! My 9 year old has always been a tad sensitive to dairy so I'm always on the hunt for non dairy beverages that she actually enjoys drinking. I'm oh so happy to report that she is head over heals in love with Pacific Foods new Cashew Plant-Based Beverage. My family and I love adding it to cereal, smoothies or drinking it all by itself. The flavor is delicious and I love the creamy texture. Pacific Foods new Cashew Plant-Based Beverage is the perfect non-dairy beverage for those trying to cut back on dairy or those who want to eat a little healthier. Even if neither of those things apply to you, I highly suggest you try the new Cashew Plant-Based Beverage from Pacific Foods because you may just love it as much as I do! Click HERE to find a store near you that sells Pacific Foods products! Click HERE to learn more about Pacific Foods! Follow Pacific Foods on social media!